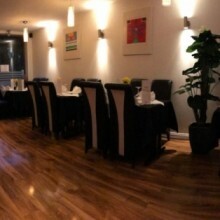 There’s nothing quite like a curry and diners will find just the thing to satisfy their cravings at Eastern Spice. The charming indie eatery combines all the best traits of a quality local Indian, with its friendly staff, relaxed atmosphere and cracking dishes. Best of all, their hearty portions are excellent value for money, making it a wise pick for diners looking for family-friendly places to eat in Rickmansworth.